This was Activision International's first ever locally produced number 1 movie tie-in, based on the movie of the same name. 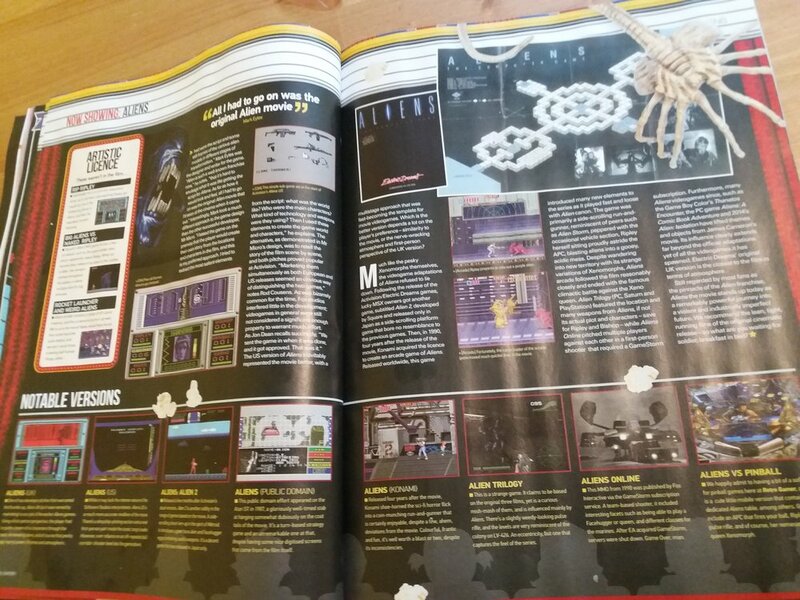 I was asked to write-up my recollections of the game and the circumstances surrounding it in 2016 by Graeme Mason, who was putting together an article for the terrific Retro Gamer magazine. Below are the responses I sent to his questions; a lot of this didn't make it into the final article so I include them here as I believe they were really good questions! Graeme Mason: ...how did the process work and was there a lot of interest around the Aliens property (I imagine Ocean were sniffing around it at least)? Jon: Every deal was different; some licenses were negotiated as a batch (eg if you want X property, you also have to commit to Y and Z as part of the deal); others were one-offs. Most movies were signed very early before there was much more to see than a script and the possibility of some named stars, an act of faith that the director and the studio would come through. I don’t know if US Gold or Ocean, for example, were also bidding for Aliens, my guess is they would have been as it was a sequel so it wasn’t an unknown property. Activision’s advantage was be that they could offer global distribution, whereas Ocean etc had to do distribution deals elsewhere. GM: Do you have any idea how much the licence was acquired for? GM: Did you see a script or anything like storyboards etc before the game began development? Jon: The movie hadn’t finished shooting when game design began, which was created for us by writer Mark Eyles and our graphics were by Nick Cook. The reference they had was a script (which turned out to be mostly accurate to the final edit) and some still frames of the Aliens models in different stages of transformation as well as stills from the set. Thereafter the entire team (including Nick Pelling, Dave Cummins and the legend that is Mev Dinc) kept iterating and iterating based on playable builds. GM: What did you think of the movie? Jon: I didn’t see it until after the game shipped! It remains one of my favourite movies ever and is, for me, the best of the Alien franchise. GM: Why were there two different versions of the game, UK and US? Jon: Politics. I view this largely as “not done here” arrogance, which was not unique to Activision (same thing with UK music 20 years earlier and the Beatles). Activision US didn’t like anything about “our” game so decided to make their own. One of the arguments was that they could make use of disk drives for faster loading and more seamless gameplay, whereas European formats relied on single loading from cassette. You can see this in the design of the US game, which has multiple levels offering variety, whereas the UK game is quite repetitive in terms of play and visuals. Digging a little deeper, Software Studios used exclusively third-party indie developers whereas Activision US had a large internal dev team. It is fair to say that of the 200+ skus Software Studios produced, our quality was hit and miss. But I would argue, based on review scores, we fared no worse than the parent company’s internal team, we produced many more titles for less money and we typically hit our dates whereas slippage was rife back in Mountain View. So we ended up with two different games. GM: They were very different games – the first person style of the UK one was and is much admired the other not so. What do you think made the UK one so good? Jon: On behalf of the team that worked on it – thank you! I remember a few things about the development that I think made it special (other than the roadside kebab runs at midnight!). We were keen to get an element of surprise as best we could and spent a lot of time iterating on that specific part of the gameplay. It wasn’t perfect, it was compromised to get the game out while the movie was still in the theaters (we missed the original opening because the game just wasn’t fun enough – and missing the opening night is a huge problem for a movie game). GM: Which version do you prefer? Jon: No doubt the Software Studios version is superior because it does a better job evoking the atmosphere – to my mind that is a key to movie tie-ins, you need to figure out how you allow someone to play what they feel; literal translations don’t serve the purpose as well despite being faithful. GM: I actually like both versions for different reasons: the UK one replicates the tension and terror better while the US version is more faithful to the movie. Jon: Absolutely fair comment. I didn’t think the US version was bad either, the Software Studios game was the right game for European game players at that time (witness review scores for each), while the US version better suited US game players (again, witness review scores). GM: Was there any studio interference from Fox? Jon: No. I don’t think games were considered that significant from a licensing perspective back then; we sent the game in when it was done and got approved. Fast forward 30 years and today it would be a far more involved process throughout development. GM: Were there any elements in the games that you tried to include but couldn’t for whatever reason? 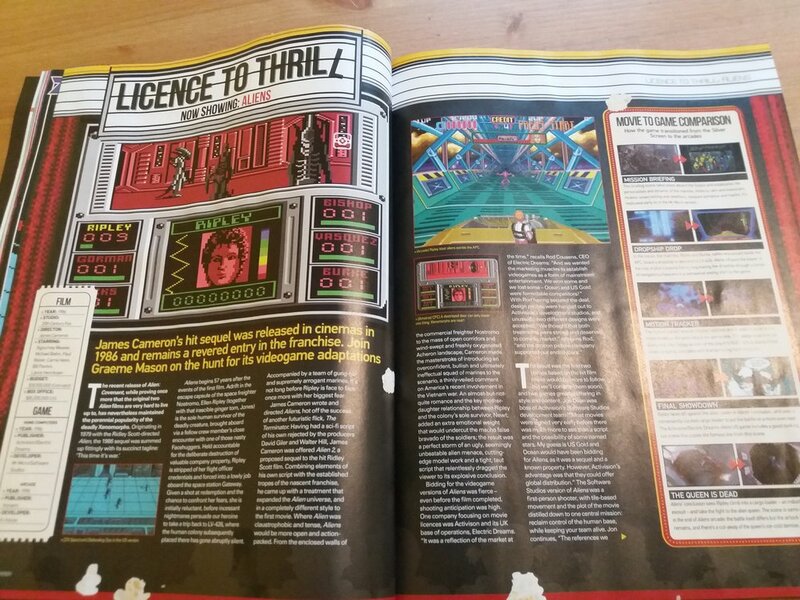 Jon: We were used to working within the limitations of cassette loading, small RAM footprint and colour palettes, so I think our scope was good from the outset; that said we built more levels and created more artwork than we could use.